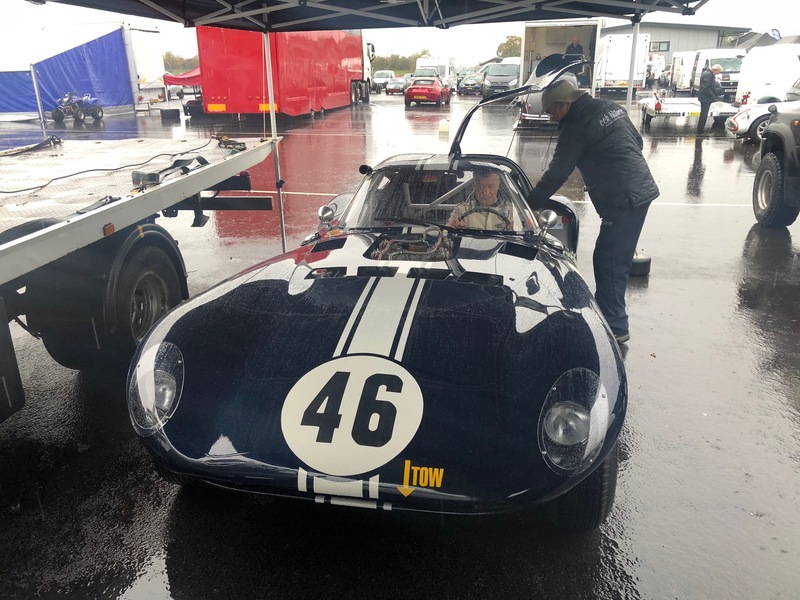 We had another historic racer in from Paul Kennelly. 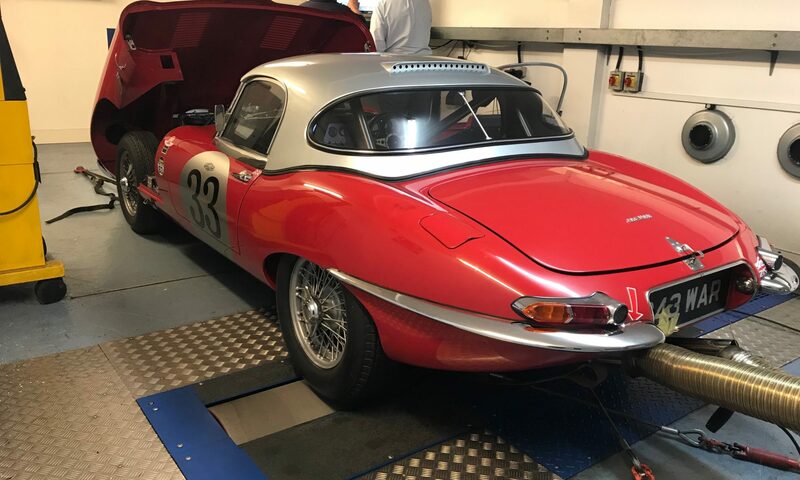 This time his recently prepped Jaguar E-type. 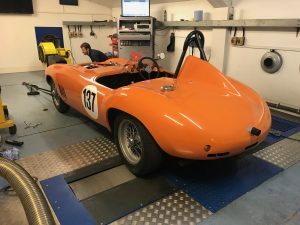 The standard of preparation on this car is very high, much the same as Paul’s Austin-Healey. 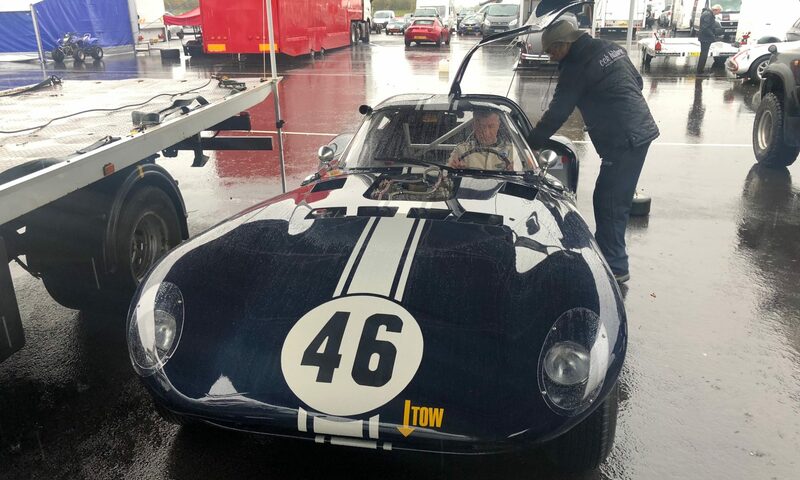 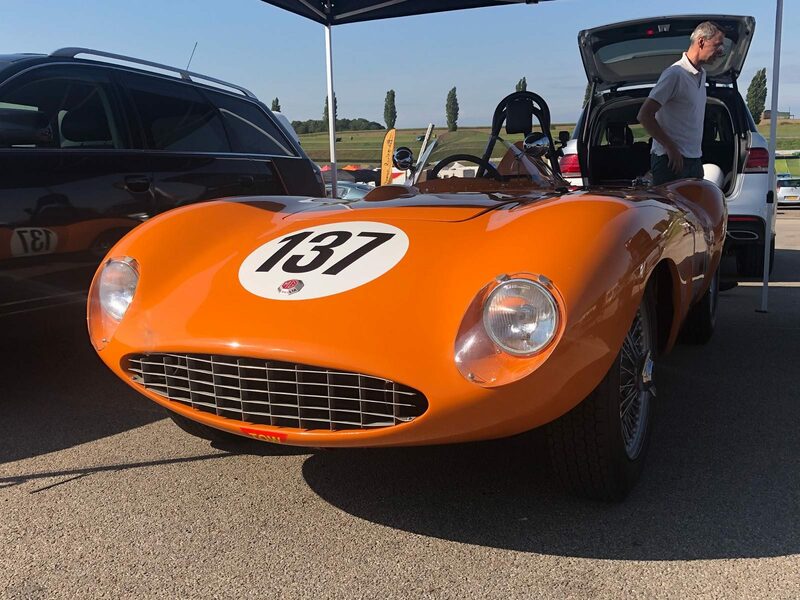 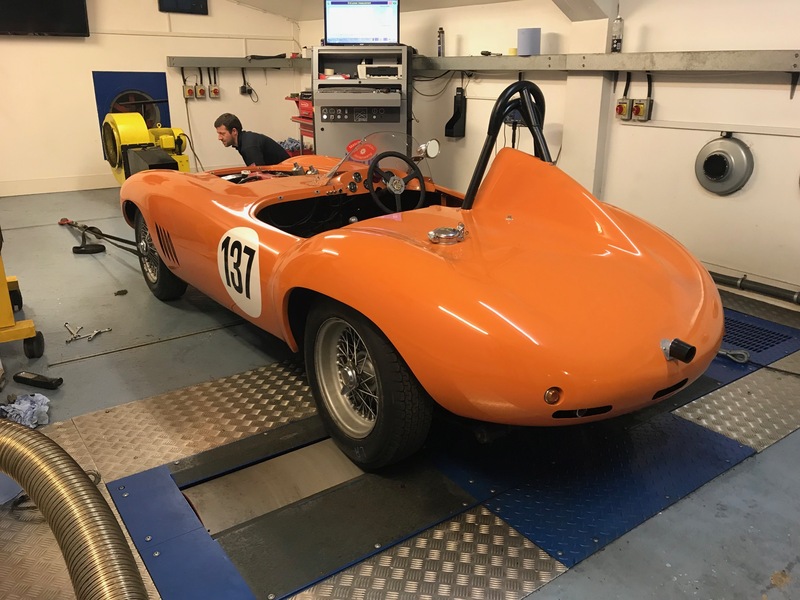 This E-type racer is built like the early steel bodied cars you see in the Kinrara Trophy at Goodwood rather than the Lightweight and Semi-lightweights you see in the TT. 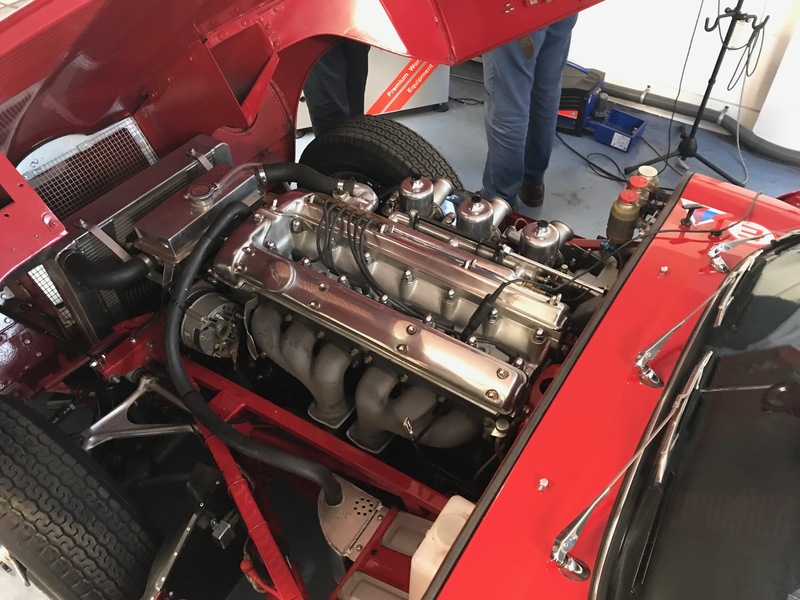 We spent some time on the rolling road setting up the triple SU carburettors. The week following Goodwood Revival we were packing up and heading out to Spa with the Jaguar XK140. A new full race 3.4 litre engine from Nick Finburgh was delivered less than a week before the classic Belgian event. 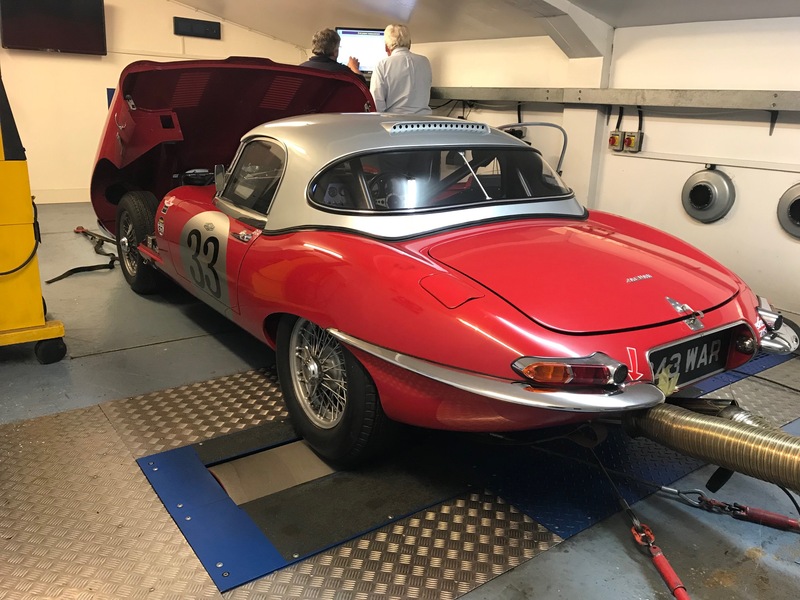 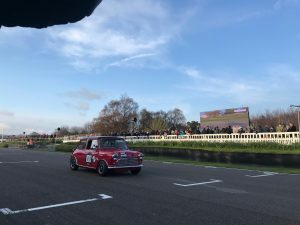 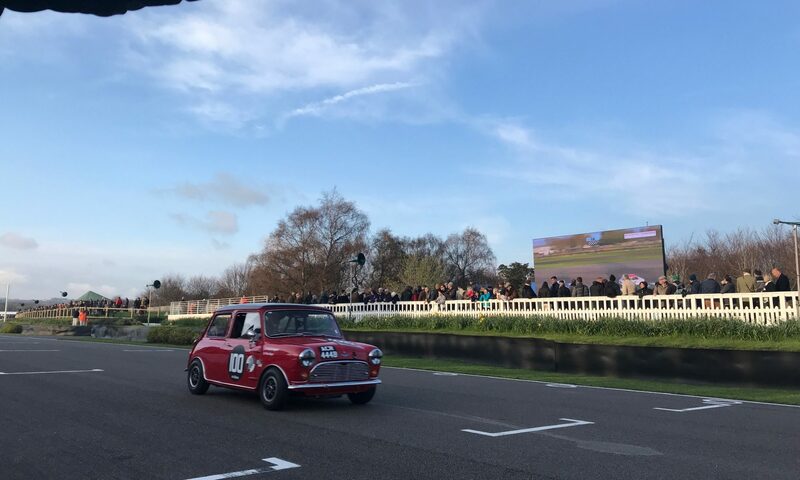 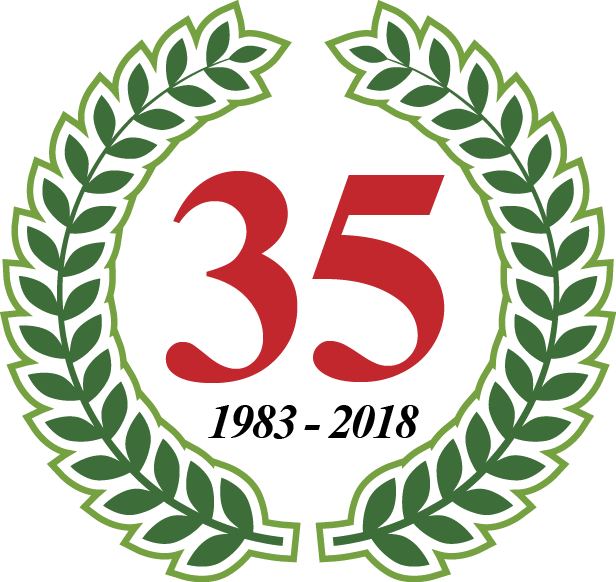 The engine went in, the car was prepped and transported out to Spa for the Motor Racing Legends Woodcote Trophy race in support of the famous Spa 6hour race. 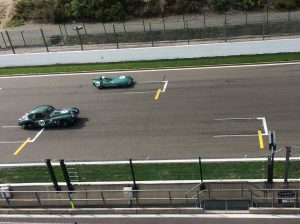 Qualifying took place on Friday with the race on Saturday. 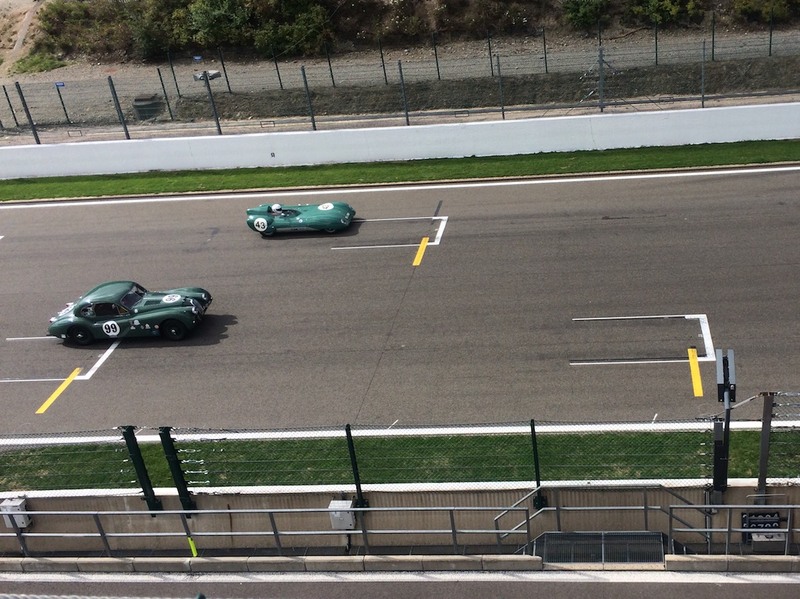 The new engine proved itself immediately with 20 seconds coming off the previous years best lap time. Unfortunately one of the 1/2 shafts broke just before the end of the race. 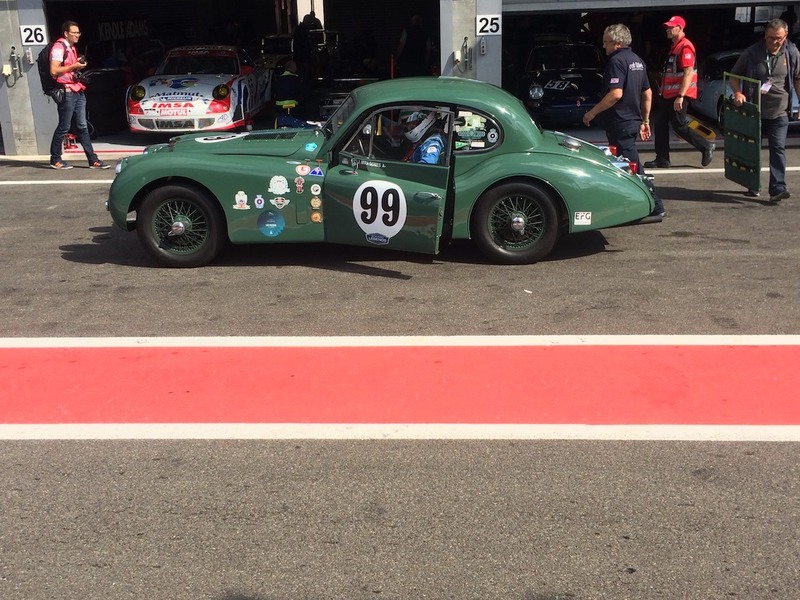 Back in the UK the car is now getting prepped for the Algarve Classic Festival at Portimao in Portugal. 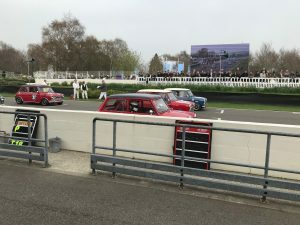 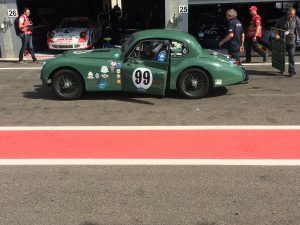 Following a busy couple of weeks in preparation the works Milano MG Special has made it’s UK debut at Mallory Park with the HRDC. 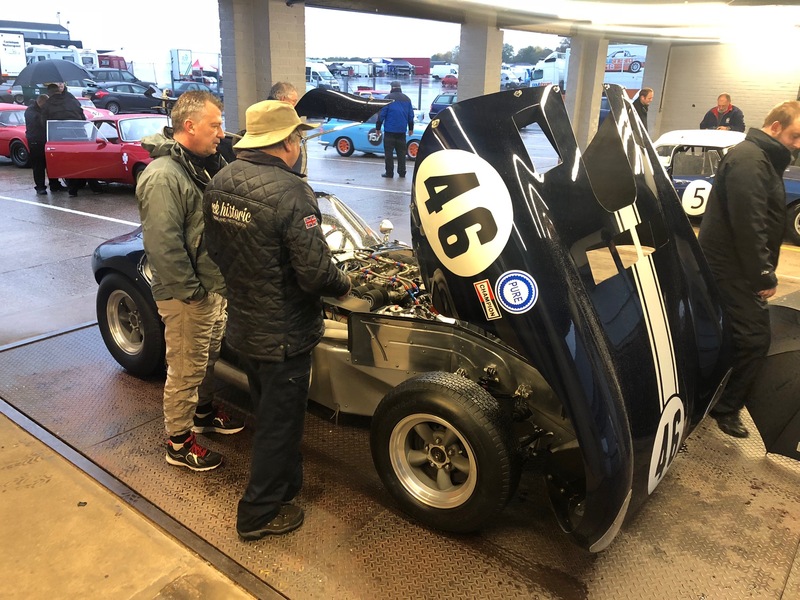 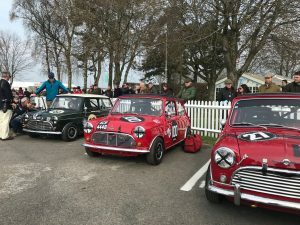 The car was a long from MSA racing standards when it came in so a lot of work was required to get it ready for scrutineering. 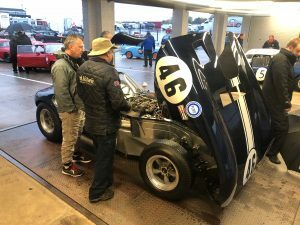 We had a huge list to attend to including the electrics, fuel system, roll bar, and extinguisher system. 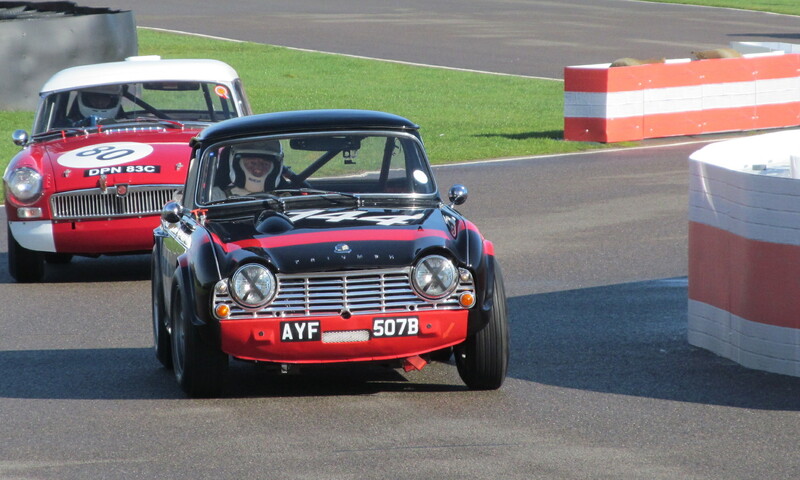 Once at Mallory Park the car developed a misfire in qualifying due to some errant breaker points. 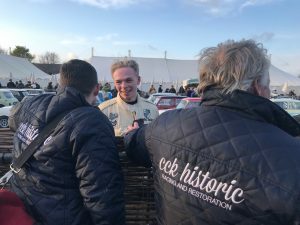 Once rectified the car showed huge potential making it up to 5th overall. 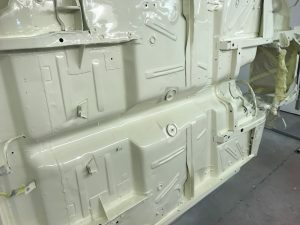 Ford Falcon belly, blasted and painted. 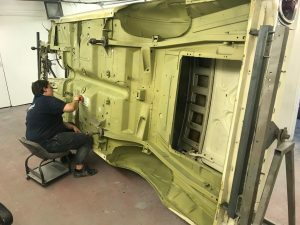 The Ford Falcon has come a long way in the last 2 weeks. 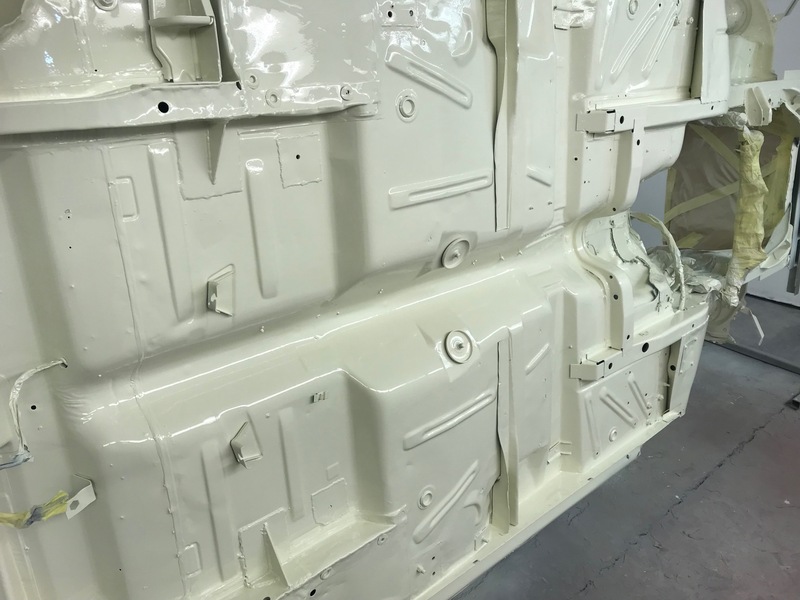 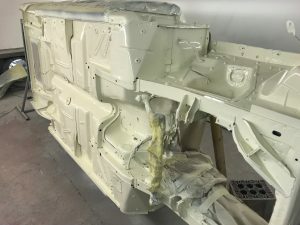 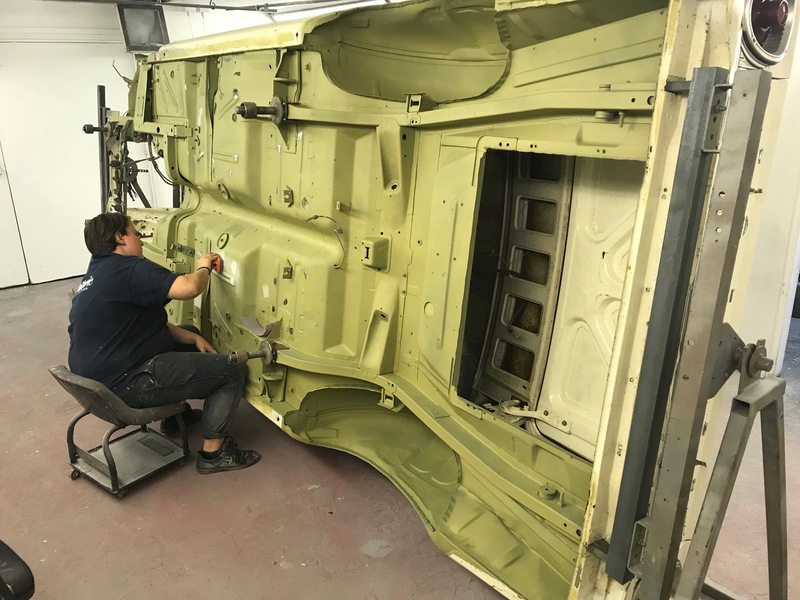 The car has been partially stripped and the underside has been media blasted and etch primed. 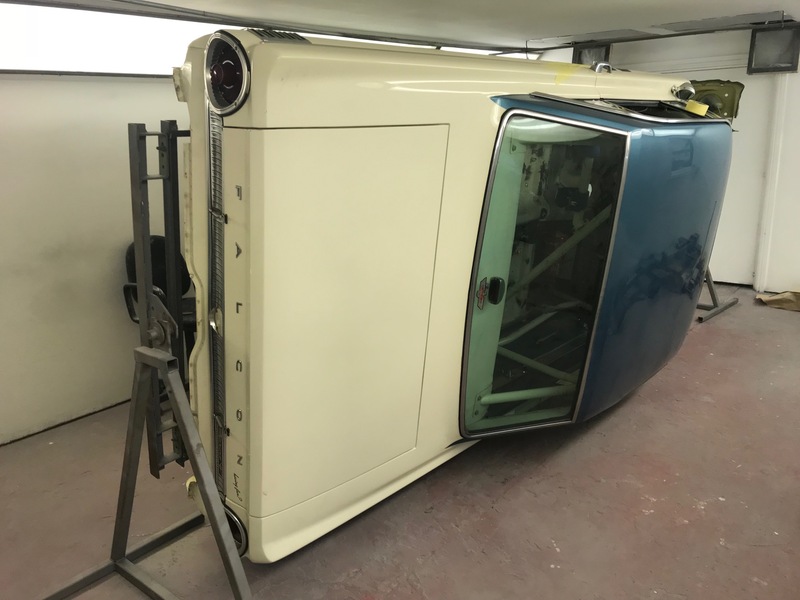 It then went in the body shop where we’ve welded up a few holes, seam sealed it, epoxy primed and painted in Wimbledon White. Next up is to rebuild the axle and suspension.